The Commemorative Monument of Peace and Unity, or the Centennial Monument of Peace and Unity is an important fixture and landmark in the City of Davao as the monument celebrates the peaceful and harmonious coexistence between the indigenous inhabitants and migrant people of Davao City in the last 100 years. 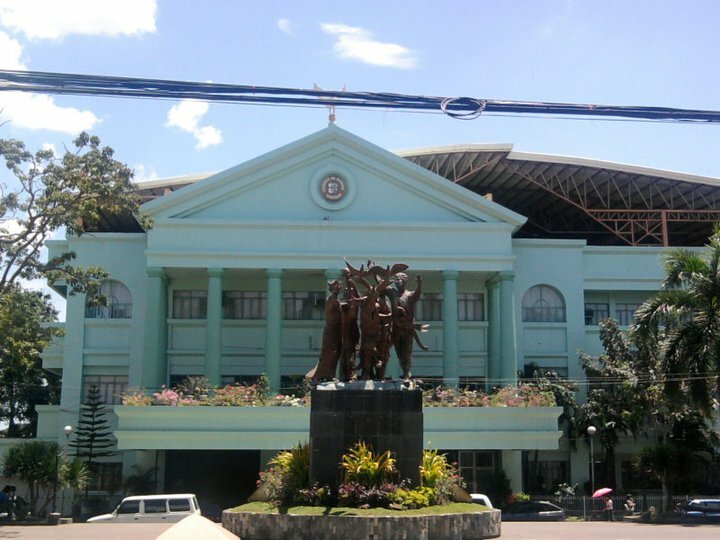 It was unveiled during the celebration of the 100th year of Philippine Independence in June 12, 1998. 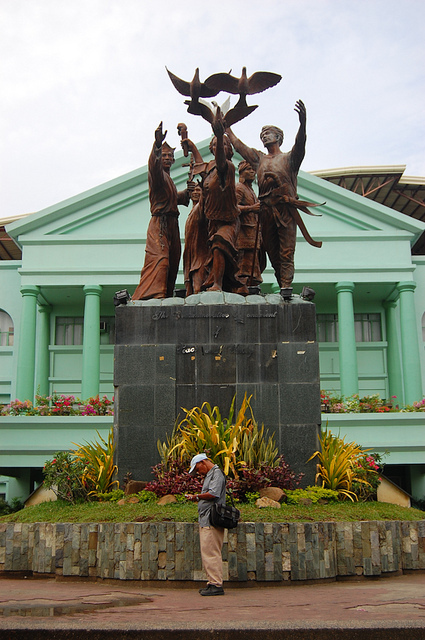 The Monument artfully depicts the men and women of the different indigenous peoples in native outfits as well as the migrants of Davao City in a noble gesture of jointly raising their hands as a symbol of peace and unity as the three doves are released from the hands of a woman dressed in traditional Baro at Saya - depicting our Mother Philippines. It is a work of art of Kublai Milan, a famous artist and prolific sculptor of Davao City. Oyanguren who came in 1848 to establish the first Christian settlement here. and peace . . . their most valuable legacy to us. of the Philippine Independence (1898 - 1998). This important landmark is situated infront of the Sangguniang Panlungsod ng Dabaw, facing the San Pedro Cathedral along San Pedro Street in downtown area. It is easily accessible by private or any public transportation which is readily available anywhere in the city.